Note: This pic only shows like eight or ten (screw you, counting! ), click HERE to see all 493 in their full-res glory, GLORY, HALLELUUUUUUUUUJAH!! 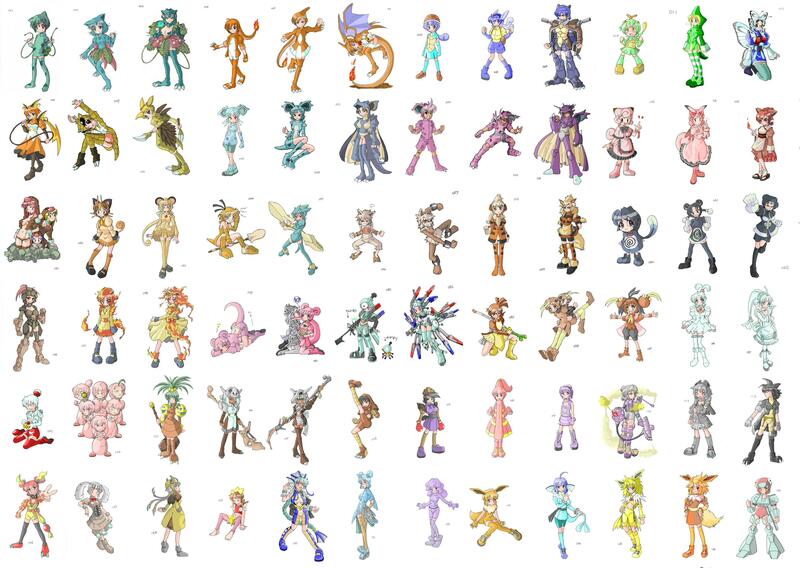 This is the first 493 Pokemons re-imagined as cosplaying girls. I don't know who drew it, but suffice it to say they're all kinds of perverted. And not the good kind that wears edible underwear to work and nibbles on them at their desk all day either, oh no -- the BAD kind. Cartoon masturbaters. BATMAN IS WATCHING AND DOES NOT APPROVE. Robin, absolutely. Thanks to Chris 'would totally catch 'em all' G., who may or may yes buy candy in bulk from Costco. And to Dodekuv (who was kind enough to send me the full version), who only practices catch and release BECAUSE HE'S A RESPONSIBLE POKEMONER.